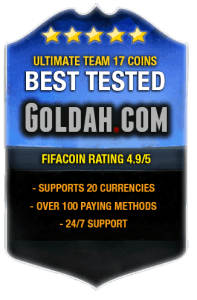 With this FUT chemistry guide we want to give you a head start in FIFA 16 online, FIFA 16 Ultimate Team mode, or FUT as the experts call it. When building your ultimate team it’s important to focus on a couple of things. These things will help you to get the perfect chemistry and get a good working ultimate team. Firstly it’s important to focus on the color of the player position below the player card. The player position can be red, orange or green. For example CM is colored orange. Green: The player card is on the right position. The player will play on his best, for example highest work rate and passing skills. Orange: Player card is on a ok spot in the formation. The player will play on a normal level. It could be better. Red: The player card is on a wrong position, The player will not play very well, and the connection to other players will not be perfect. Secondly it’s important to check the lines which connects the players. Green: The linked player cards link good with each other. The link is good quality because; the players are in the same league, same country, or playing in a team together. So these are three factors you’ve to mind, when connecting two of the three factors you’ll get a green line between the player cards. The chemistry will be perfect in your FUT 16 team. Orange: The player cards linked are in the same league, playing in the same team or are from the same country. When only one of those factors is relevant between player cards the line will be orange. Red: The player cards linked to each other don’t have any or the three factors needed to create chemistry. Your team won’t connect perfectly. When you’re not sure who to buy for your Ultimate Team in FUT 16 use the concept squads to see which players are the best to fit in your team. Scroll to the players you’ve in mind to put in your team and check what it will do with the chemistry. Many players don’t pay any attention to which manager they have in the team. It does have a important feature. When your chemistry is not 100 or some players are not on the highest chemistry rank (10). Try to see which players need the extra chemistry boost. For example when some players from the Serie A are not on full chemistry, try to fit a manager from the Serie A in the team and the chemistry of the players from the Serie A will go up with a minimum of 1 point. 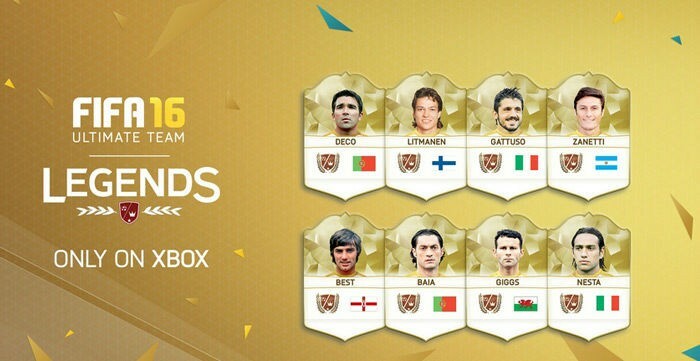 Legends cards in FUT 16 have a special feature in the new ultimate team. Legends have the perfect chemistry connection with every other player card in the team. It doesn’t matter which country, league or team they’re from. 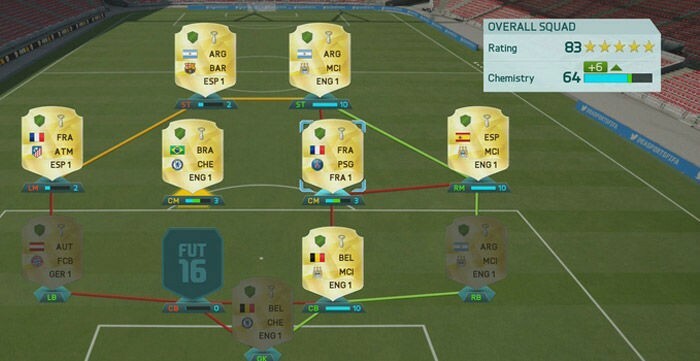 Legends cards in FUT 16 have a special feature in the new ultimate team. Legends have the perfect chemistry connection with every other player card in the team. It doesn’t matter which country, league or team they’re from. Many FUT players ask this question; does a substitution effect my chemistry in the team. 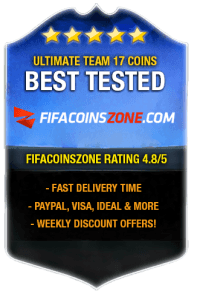 Many great FIFA Youtubers tested this, and the conclusion is: It doesn’t matter. It’s seems that the substitutions do not affect the chemistry. So when you have some really good players who don’t fit in the team because of chemistry reasons, bring them on as a substitute during the match. 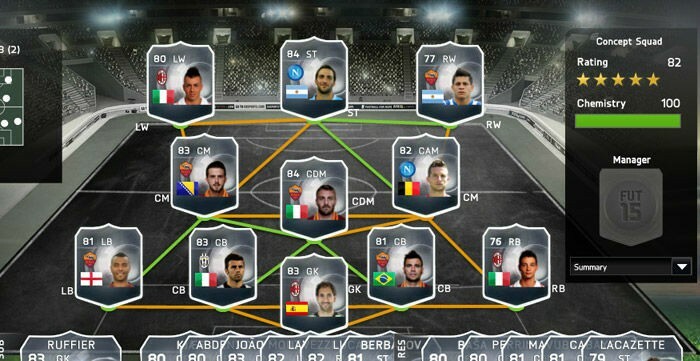 Player cards with a minimum of ten matches in the team get a loyalty bonus in FUT 16. You’ll see this bonus on the back of the player card back showing a green shield. The player will receive a 1 point bonus to their player chemistry. The chemistry styles started in FUT 14 and have been evolving from then. 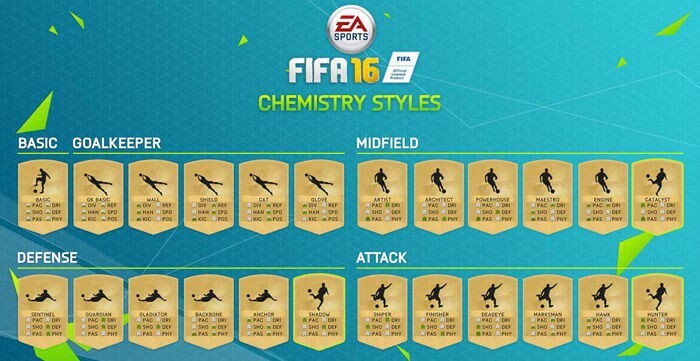 The chemistry styles are designed to persuade FUT players to open more packs and give them more options to give player card extra boosts.